Commercial and industrial elevators are suitable for a broad range of applications, and Commercial Lift Singapore provides custom lifting solutions to many of those industries. We have a team of experts with the requisite expertise and industry knowledge. They can design a safe and efficient lifting system to suffice your particular application. Needless to say, our professionals boast an unbeatable level of experience across commercial and industrial lift requirements. Call Commercial Lift Singapore specialists if you are looking for experts to carry out Commercial and Industrial Lift Installation service. 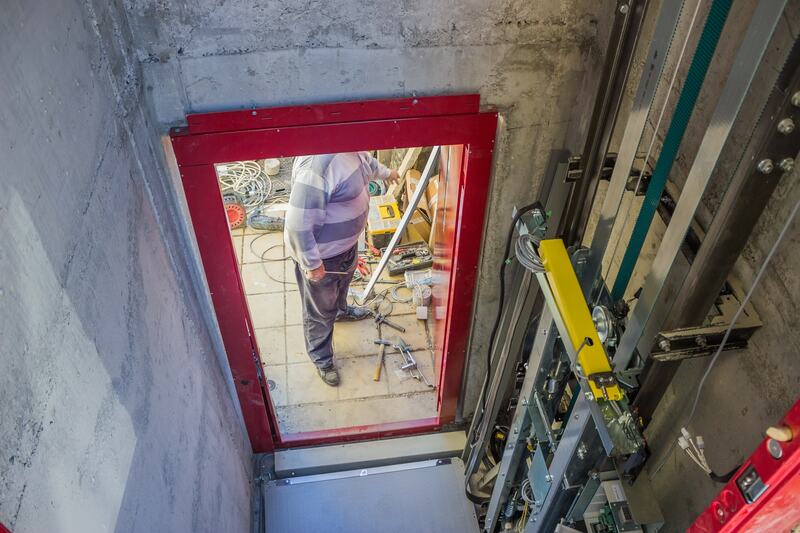 Our technicians create an effective elevator system in virtually any space, and to complement any specifications. Commercial Lift Singapore specializes in custom elevator installations for cargo and goods lift, office and passenger lift, warehouse lift, shopping mall lift, and service and freight lifts. Whether you need to install a whole new elevator system or add a new elevator to an existing building, we are the right company that installs the industry’s top brands. Our qualified staff will help you design your new system to complement your unique tastes and preferences. At Commercial Lift Singapore, we also specialize in adapting standardized parts to more specific requirements. We are Lift Cert accredited to handle all kinds of components. Hence, we install bespoke Commercial and Industrial Lifts that are expertly tested and CE marked to ensure full safety along with building regulations compliance. We also specialize in Rack & Pinion elevators, and our current fleet comprises technologically advanced material hoists. All our elevators are self-contained and can either be installed in new construction or existing structure. Thus, they are suitable for almost any installation. Commercial Lift Singapore’s value-added services encompass job-specific in-house engineering, maintenance contracts, 24-hour emergency call-out service and full-service installation. We are your one-stop resource for safe, technologically advanced and reasonably priced Commercial and Industrial Lift Installation. We handle everything right from design consultation through installation and ongoing maintenance. We are committed to providing our customers with the highest quality customer service there is in the market. Call us today, and we will surprise you with our expeditious response time. We walk the talk. Commercial Lift Singapore is a reputable lift company showcasing the right resources that match your Commercial and Industrial Lift Installation needs. We can help you design and install an elevator in whichever space you want, and we will do the task however you want. All our installations strictly adhere to the Singapore Safety Regulations. We take pride in a specialist team of engineers who deliver a focused and personalized service. Before they start the installation task, our technicians take ample time to understand your precise needs and requirements. Once they discover what you want, they go ahead to tailor a perfect lift solution that complements your property. Whether you are an industrial or commercial property owner, we pledge to meet and surpass your ultimate requirements. Our company is known for its outstanding customer service, and we take our clients’ health and safety requirements seriously. All our elevators are expertly engineered, CE marked and installed with full safety compliance in mind. Although we are headquartered in Singapore, we take our services beyond borders providing Commercial and Industrial properties with expert lift services. These may include professional lift design, installation, maintenance, and modernization and refurbishment services. We strive to craft effective and reliable lifts that can transport bulky items between floors quickly and securely. At Commercial Lift Singapore, we have well more than 10 years’ experience in designing, supplying and installing highly functional and cost-effective elevators in commercial and industrial setups. Call us at any time, so we can discuss how best we can help you design, create and install a bespoke lift system that fits your specific space and application. Make sure to get in touch with us soon so that we can arrange a FREE, no-obligation survey and quotation on time.